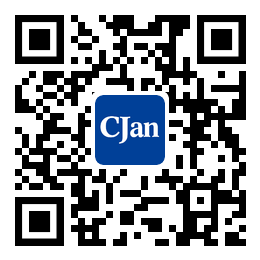 ﻿ Solutions for Water Leakage of Water Hose Connector - CJan Fluid Technology Co., Ltd. When the water hose connector leaking water,what should we do? First of all, we need to find the cause of the leakage, whether it is the glue, the fusion or the joint corrosion causing the leakage. We need to solve the problem according to the specific reasons. Here are some of the causes and solutions for the analysis. Cutting off the leaking water hose and reinstalling a new water hose is the simplest and the most effective way to deal with the leakage, actually it is not difficult, as long as you haven't applied the water hose into walls, because of the advantages of pp-r pipe is higher than the local strength of welding to ensure that the pipeline overall rigor. Generally speaking, glue is more suitable for low-pressure piping, operating pressure cannot exceed 4 kg. this method is not suitable for pp-r products because the PP - R material determines that the glue is very difficult to dissolve. If the water pipe is thicker, you can use the heat fuse directly to weld the outside and plug the gap in it. This method cannot have too high pressure. Use the solder to spray the solder directly into the solder. This method can be used with PP - R patch. 1. If the water hose connector in the home is leaking, the first step is to disconnect the water and unscrew the interface. of agricultural machinery rubber to mix it up. If it is a metal water hose connector, you can tight it, or you can directly remove it to add some ribbons, then tighten it again. If the water hose connector is aging or the leakage is caused by the glue or welding, it is difficult to solve the problem, the best solution is to get a new one.